I have to admit I probably spend longer than I'd like to admit thinking about my Instagram. For me, I'm never concerned about likes or followers (well mostly), I just really love photography, photo editing and nothing makes me happier than looking through my Instagram and everything looking pretty and perfect, thats the OCD in me. I'm not going to pretend I'm a master at photography and this is not going to be filled with any actual technical information but I like what I like and I don't think I too badly at it these days so this is how I edit my Instagram photos (please be prepared to see my face a lot through this post... sorry in advance). I've tried other photo editing apps but VSCO cam is by far my favourite, its really easy to use and produces quality edited photos. 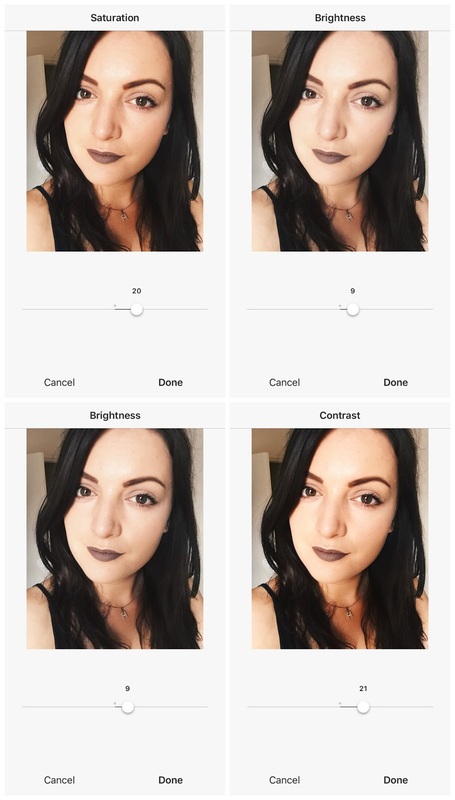 VSCO cam has a variety of already made filters which you can buy, one of my favourites is HB1 and HB2 but it makes me a little paler than I'd like and I don't spend all my money tanning for no reason. So you can tone down the filter. I usually edit 4 main things on photos; Saturation, Brightness, Highlights and Contrast only very subtly on selfies but I blast up the saturation on very colourful pics. The best thing is just to play around with it a bit and find what looks good. Always remember to have the brightness on your phone turned up so you can see the photo better and drain your battery at the same time. 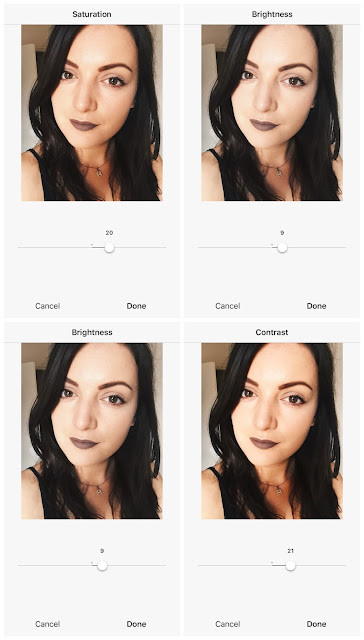 Love the editing app - definitely going to download it.